This lesson will show you how to post to Drupal version 6.15 with ScreenSteps. 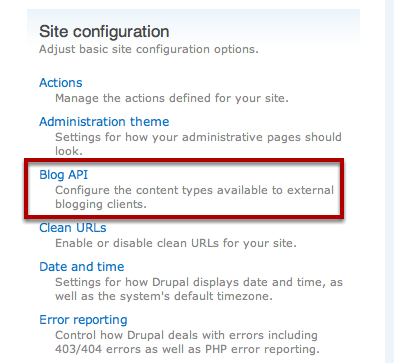 Navigate to Site configuration > Blog API. 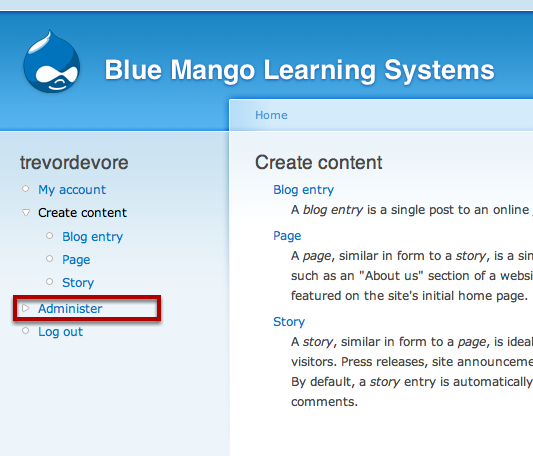 Make sure the Blog Entry checkbox is checked (1) and click Save Configuration (2). These instructions don't make sense with Drupal 7. Also, I've noticed (playing with Drupal Gardens) that the content type "book" would be great in conjuncture with ScreenSteps. 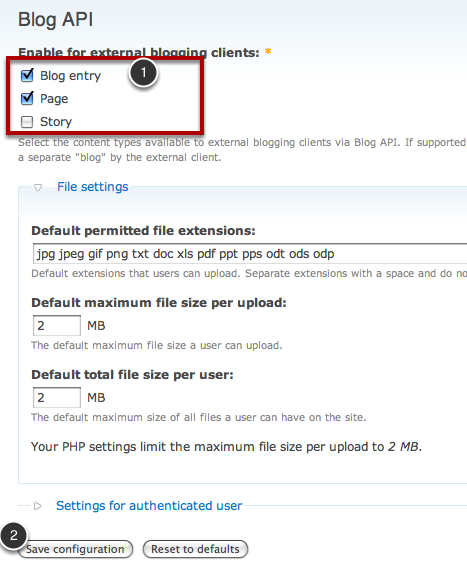 Can screensteps upload content to a Drupal Book? @James - We haven't looked at Drupal 7 as of yet. It seems it just barely entered beta stage. Once Drupal 7 is released I can revisit the instructions. Drupal 6 doesn't provide a way of posting content in any other way the one outlined here (at least not that I could find). I don't know if this has changed at all in Drupal 7. Well, everything has changed with drupal7. Blogapi is outside the code. so they is a module. I can t make it work with so iPhone tools like BlogPress or another. They support Drupal Api but the module come without it. They support blogger, movabletype and more. Even by choosing this in service type nothing work. I will try harder. I then downloaded the version from github and installed it. I then enabled all 4 options (Blog API, Blogger, MetaWeblog and MovableType) in the Modules screen. ScreenSteps is able to communicate with drupal and drupal allows ScreenSteps to upload a lesson. The blog post on Drupal contains the text "Array" in the blog title and has no content so it appears some work still needs to be done on the new module. Any movement on the Drupal situation? @Daniel - I have not revisited Drupal integration with Drupal 7 to see if they have improved the API situation. Is there another thread that has updated instructions? @Allison - no there is not. ScreenSteps no longer exports to Drupal so we haven't updated the instructions.